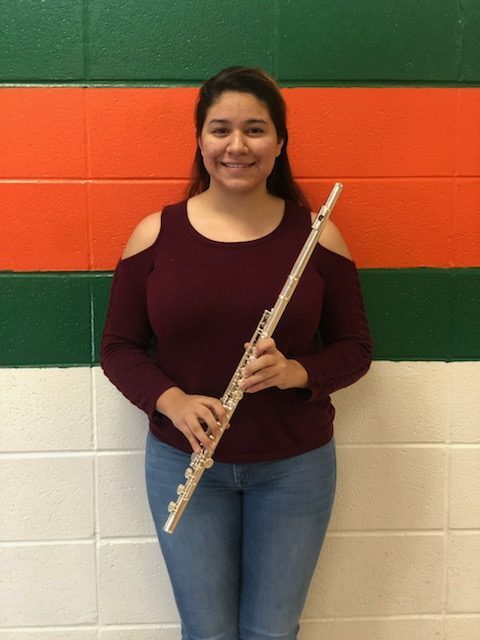 Harlingen High School South senior, Victoria Wells, took first chair flute at the Texas Music Educators Association Region 28 Mariachi Auditions held Jan. 29 in Donna, Texas. As the top flute player in the region, she will perform with this exciting group March 9 in Weslaco. Mighty Hawk Band member, Jessica Garcia, was named flute alternate.